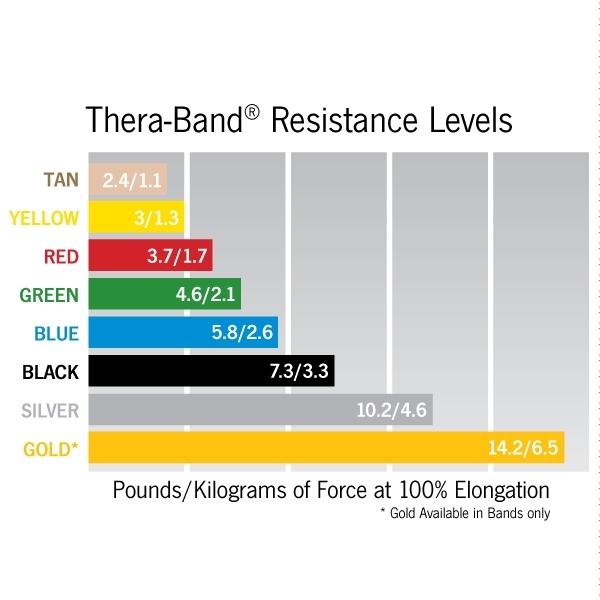 Thera-Band® Latex Free Professional Resistance Bands were formulated to match the pull forces of our existing Latex Resistance Bands! 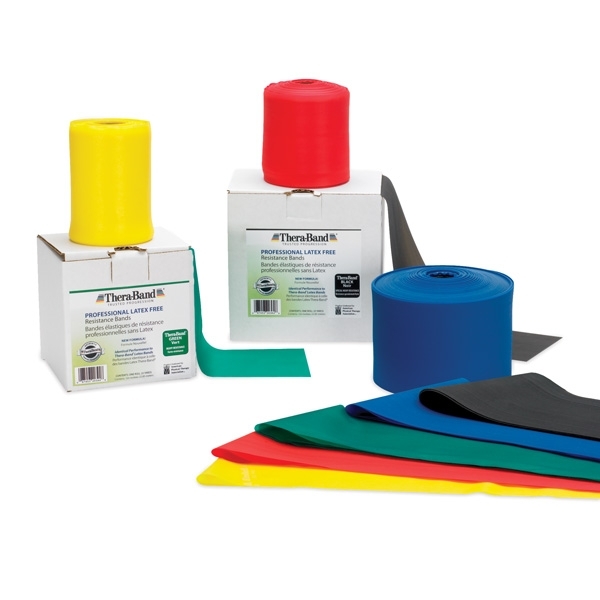 The NEW Thera-Bands are available in five resistance levels: Yellow - Thin Red - Medium Green - Heavy Blue - Extra Heavy Black - Special Heavy Size : 4" x 75'. Thera-Band Latex Free Exercise Bandsmeet the needs of patients and practitioners with latex allergies as well as facilities and hospitals with a "no latex" policy.